Here is a very good coding tool we are adding to our coding resources here in EdTech and mLearning. Dystopia 2153 is a new project from TEACH Magazine that enables students to learn the basics of coding through stories and graphic novels. 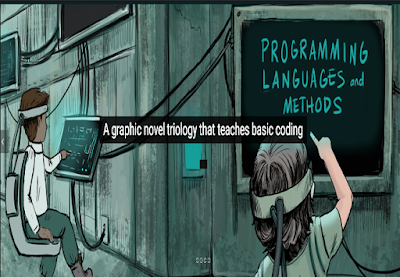 Using beautifully illustrated stories, Dystopia 2153 engages kids in immersive learning experiences where they get to develop both their coding and reading skills. Each of these stories provide kids with a number of challenging situations where they will have to use their coding knowledge to solve puzzles and code their way out. For instance, in one of the stories a bunch of kids (Lance, Freya, and their friends) are trapped in the Rathouse Orphanage and to get out before they they are caught by BASH the evil robot commander and his mad scientist Harry Mole, they will have to draw on their coding skills and the help of their pet robot named Chiclet. The escape journey is full of suspense and learning. This and other stories are also available for purchase in print format should kids want to have a printed copy. Also, Dystopia 2153 offers special pricing for coding clubs, camps and schools. Check it out to learn more. 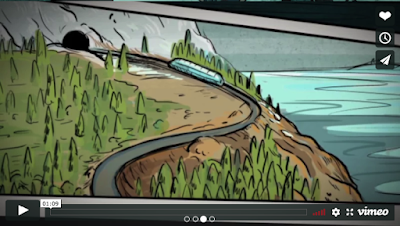 Here is a teaser video to introduce you to Dystopia.